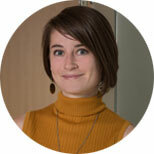 Katie Ballesteros is a GBD Research Scientist working with the Maternal, Newborn & Child Health (MNCH) Team. In this role, she is involved in the process of producing global estimates for anemia and hemoglobinopathies. Katie received her Ph.D. from the University of Washington, where she studied the impact of cigarette smoking on cholesterol homeostasis and the HDL proteome.